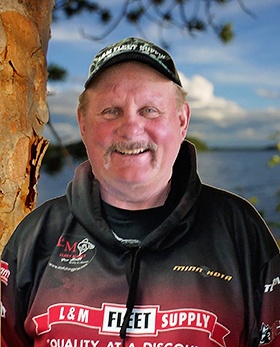 One question I get asked over and over is "how do you consistently catch walleyes through the seasons in Northern Minnesota?" 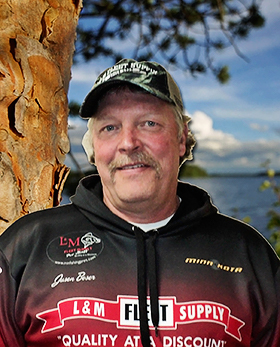 Catching walleyes in Northern Minnesota is a fairly simple task. 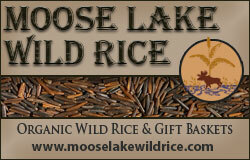 The key to Minnesota walleye fishing is to find the food source. In the spring on lakes like Winnibigosh we look for large schools of shiners gathered on the big sand flats off the shoreline. The fish will gather there after the spawn and chew on these shiners. As fishing guides go this is the best bite of the season, you not only have the walleyes but also northern and perch up feeding on the shiners which makes for a great action bite. As the season progresses and the fish start moving off shore, we look for mid-lake structure like humps, big bars or long points coming up from the main lake basin. This time of the year the bugs start hatching out in the mud, the fry will move out to this deeper water and so will the walleyes. 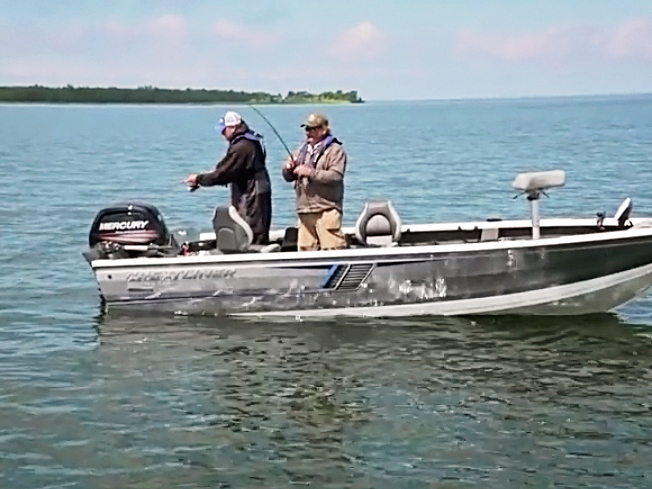 At the beginning of this bite you can still use a jig and minnow presentation out in the deep water but as this progresses the bite will start moving to more of a leech or crawler. With this bite you have a couple options, we use a lindy rig with a 6-8 ft. snell or we occasionally use a spinner. 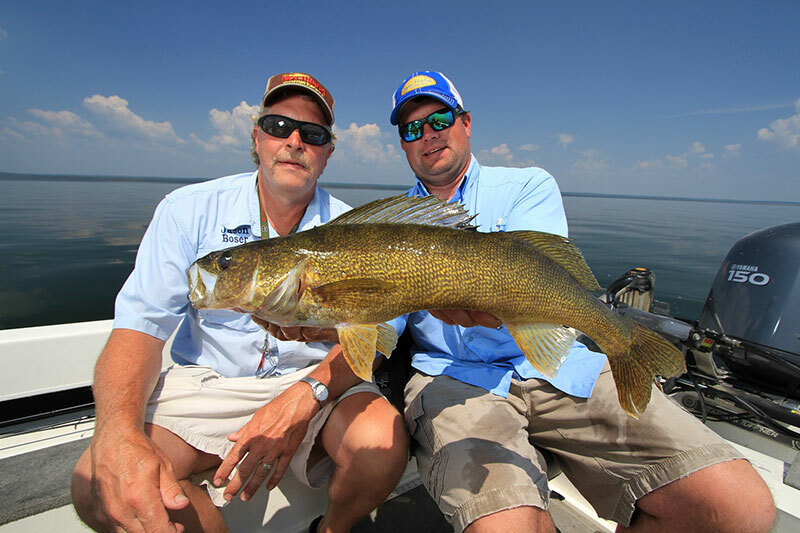 Once we reach the mid-summer bite, usually around August, the walleye will start a gradual move back to the shoreline. 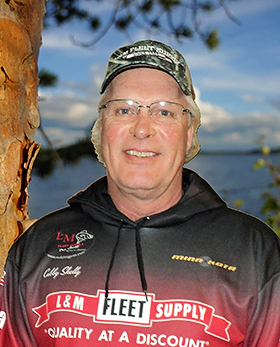 The bugs are usually done hatching and the walleyes will look for the perch fry on the edge of the weeds and there will also be some walleye out deep. The fry of the year are big enough to eat and they are everywhere. 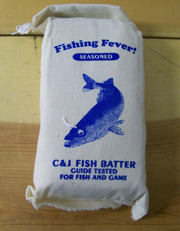 When you are a fishing guide, this time of the year is the toughest for walleye and we have to be very versatile. We could be running Rapalas along the weeds, jigging out deep or in the weeds, or rigging out deep or in the weeds or even running spinners along the weeds. The key this time of the year for walleye is to cover ground, because they are scattered all over the place. As summer fades we start moving into our fall pattern. The baitfish will start moving toward shore and the walleyes will be starting to move more to the shore also. The fry are getting bigger and so are the walleye. This time of the year the jig and minnow are our main presentation, with an occasional lindy rig and a crawler or trolling Rapalas. We usually look for the more steep drops as the water gets cooler and this will work all the way up to freeze up. This is our seasonal movement and presentation we use to consistently catch Walleye. If you come up and want to catch a nice batch of fish and learn some of our techniques, the best thing you can do is hire a guide for the lake you are fishing. We can help you recognize the pattern and presentation that is working for the walleyes at the time of year you are here. 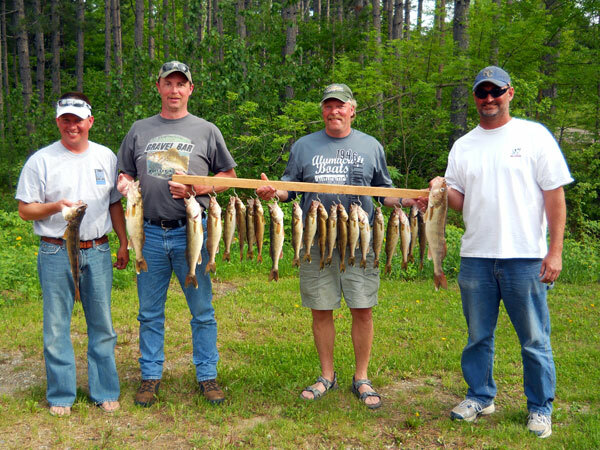 It will take a lot of the guesswork out of your fishing vacation.